The Central Bank Nigeria (CBN) sold N136.24 billion in treasury bills with maturities from three months to one year at its first auction of the year on Wednesday, at higher yields than previously. 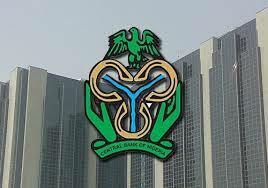 The central bank sold N55.4 billion of three-month paper at 4 percent, up from 3.62 per cent at a sale on December 23. It also sold N25 billion of six-month debt at 6.99 per cent against 6.19 percent, and N55.84 billion of one-year paper at 8.05 per cent compared with 7.45 per cent. Total demand stood at 311.5 billion naira compared with 226.97 billion last time. Minister of Finance, Mrs. Kemi Adeosun, said the federal government would soon go to the debt market to raise fund in order to finance its capital expenditure. Adeosun disclosed the need to borrow both from local and international sources while having a chat with Bloomberg recently. She said the decision was considered in light of the pressure confronting the economy as a result of plunging oil prices in the global crude market. She said “We need to stimulate the economy because we cannot afford this downturn to be excessively prolonged." “We think we have the headroom to borrow. We’re going to mix it between local and foreign debt. We’re talking to multilateral agencies already and we’re at an advanced stage. Then we’ll look at the foreign capital markets.